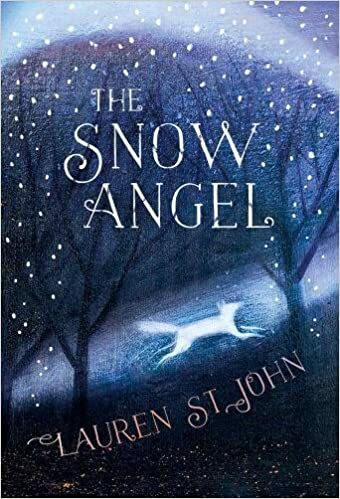 The Snow Angel by Lauren St John is a story about Makena and her life, first in Africa and then in Scotland. Her father is a climbing guide and she loves the mountains and hopes one day to be a climber like her father. However events conspire against her and her life starts to unravel. This is Makena’s story as she journeys through hard times. I really liked Makena as a character and there is a real charm to her. I felt engaged with her as a character. Much of the description left me with a clear image of places and people too. I guess parts of the book are a little dark or even depressing however there is also joy and it is life affirming. The last part of the book should bring a tear to the eye of any human being for my money. It is wonderfully warm and rich. I have a slight reservation about the timing in the book; the first two thirds goes at quite a slow pace (though certainly not too slowly) however the last third does feel rushed to me. Personally I’d have liked the book to be called “Silver Fox” or something similar but that doesn’t affect this as a read at all. It is a story for young adults however I certainly enjoyed it. I’d happily recommend it to my grandchildren when they are a little older. I’m not sure the message has great depth but it does have charm, affection and resilience. I enjoyed it.